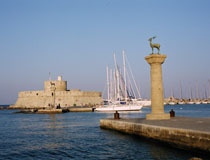 Rhodes offers a huge range of attractions including magnificent sightseeing opportunities and a stunning choice of excellent hotels that fringe the coastline. 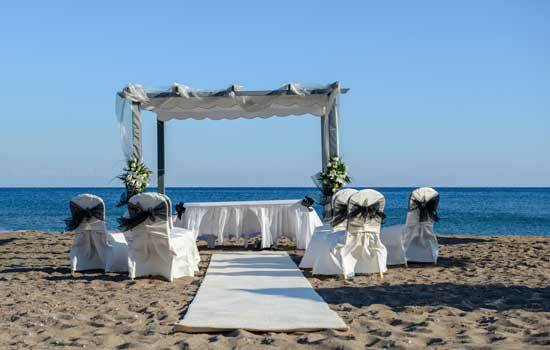 Our selection of wedding venues in Rhodes combines variety to suit all preferences and budgets to ensure your special day will be one to remember for ever. 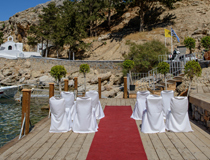 Situated on the main sandy beach of Lindos and overlooked by the picturesque village and its Acropolis, this new venue offers an attractive and easily accessible location for a seafront wedding ceremony. 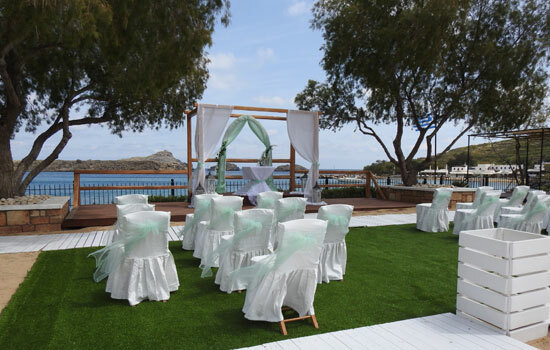 Indeed, Lindos Weddings Venue is a very well put together setting on a flat and spacious area that combines wooden platform and walkways as well as an artificial grass area. 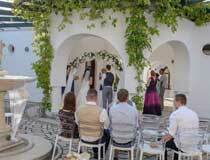 Weddings at Lindos Weddings Venue take place between 1st of May until the end of October and the venue hire is for one hour. 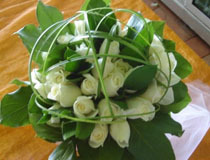 A laptop and speakers allow you to play the music of your choice. 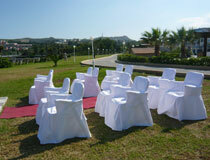 A drinks party and even a barbecue could also be organised on your behalf on site. 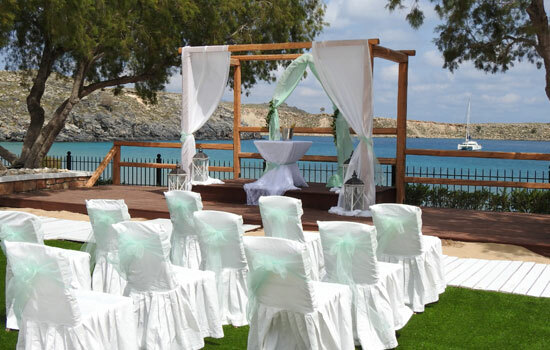 St Paul's Bay is a picture-postcard setting that is truly perfect for wedding ceremonies and the seafront platform is a brand new venue that invites couple to exchange their vow right by the shore of the picturesque bay. 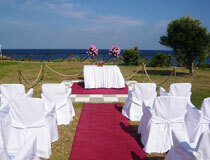 To make your day even more special you may choose to reach the venue by boat or travel from your hotel by wedding car. 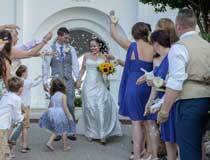 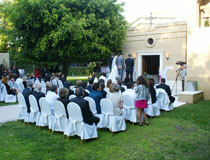 The ceremony is performed in the open-air with views of the pretty fishing boats and the little chapel beyond. 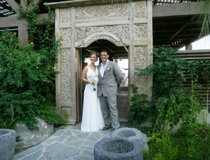 Plan to wear (or change into) comfy shoes to have stunning wedding photos taken by the small harbour or in the narrow cobbled streets of the village of Lindos. 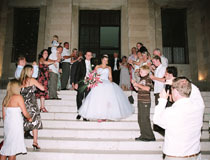 As this is a popular spot in the resort, expect onlookers always eager to look at a pretty bride on the most important day of her life! 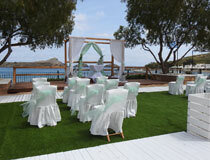 A splendid setting for a stylish start to married life! 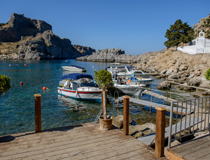 Located on the beautiful beach of Lardos, 8km south of Lindos, the Lindian Village is an attractive holiday resort where tropical gardens, white-washed buildings, a sleek decor and excellent amenities combine Greek charm with modern accents and all the required comforts. 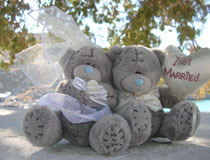 Planning your wedding ceremony, you have various choices for the setting of your civil marriage service which can be arranged to take place outside the hotel’s very cute and pretty chapel, within the gardens, by the poolside, on the beach at sundown... or for something a little more intimate, you may wish to exchange your vows by the private pool of your suite. 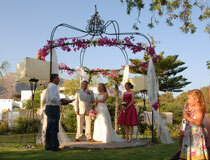 Several wedding programmes are available at the Lindian Village, including suggestions on decorations and menus for your buffet-reception or sit-down dinner, plus a lovely range of special touches such as fireworks, romantic boat trips, theme nights, etc., to make your ‘dream day’ tailor-made to your wishes. 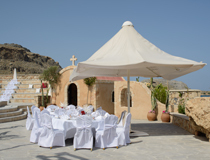 Located on Vlicha beach (some 4km from Lindos) personal service and a panoramic setting location are just a few of the many advantages for choosing this beautiful venue for your wedding. 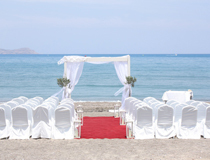 Here at the Lindian Jewel, the civil ceremony can take place on the beach for a perfect ‘feet-in-the-sands’ wedding and to ensure every couple feels very special, this lovely venue is planning to only offer one weddings per day. 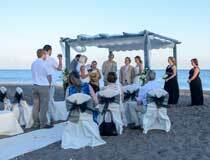 The ceremony is followed with a reception and we’ll discuss your requirements and get things under way before you arrive in Rhodes. 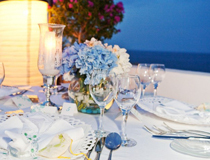 Worth considering is a special ‘wedding menu’ that includes an unlimited selection of drinks, cold canapés & fruit, white covered tables and chairs, plus your chosen colour scheme for candles. 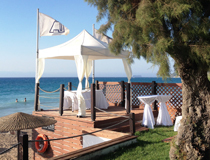 For a more informal reception, you may wish to consider the Azzuro Beach Bar (yes, it is located right on the beach) - although this would not be a 'private' area for your party, we would be able to reserve a section for you to celebrate with family and friends. 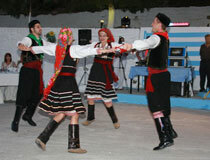 At the end of the evening, with Lindos about 20 minutes’ walk away, and Pefkos 1.5km you will not have far to go to go back to your accommodation and we can make arrangements to transfer everyone back home after the celebrations. 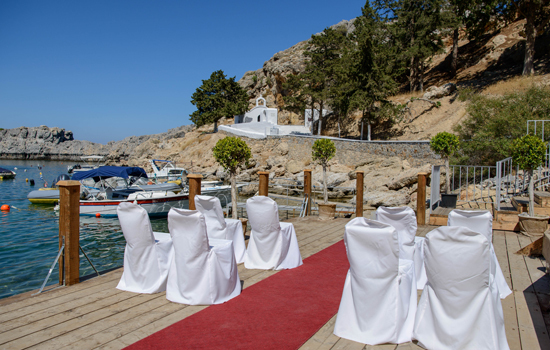 Whether you are seeking a small, intimate wedding or a large and extravagant occasion, the Melenos Lindos knows how to make your dream come true. 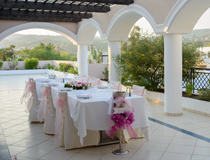 As there are only 11 rooms at the hotel, how about hiring the whole hotel for you and your party for a few days to guarantee all the privacy you wish for on your big day (additional accommodation can also be booked nearby). 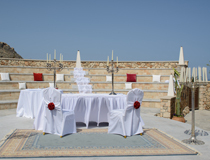 Civil ceremonies at the Melenos Lindos can take place at a variety of locations, including on one of the panoramic terraces overlooking the bay. 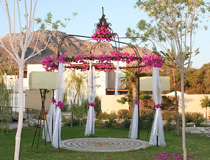 Of course, anything can be arranged on your behalf, including flower decorations, hairdresser, etc., and we'll discuss with you the special menus available for your wedding reception. 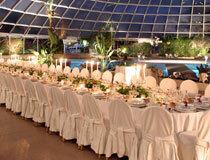 Occupying a prime plot in Ixia, the Rodos Palace is a 5-Star venue, perfect for the most important day of your life. 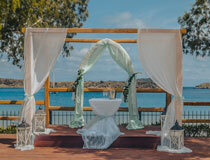 Your ceremony can take place at a variety of locations, including a pretty gazebo set close to the sea, outside the small and very picturesque church or at other panoramic spots within the spacious grounds. 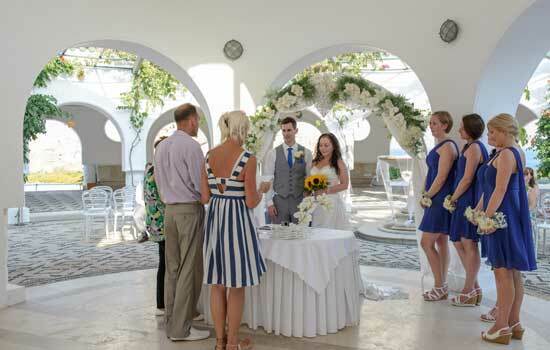 Options for your wedding reception are just as varied and, depending on the number of guests and the type of reception you prefer, we can supply you with full details of menus whether you wish to opt for a cocktail reception, a buffet, a barbecue, a cosy meal or a more formal event. 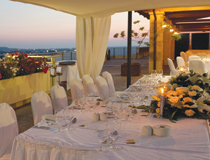 And no matter how many friends and relatives you have invited to celebrate your big day, the Rodos Palace can indeed cater for anything from an intimate dinner for a handful of people up to a huge and elaborate gala dinner for hundreds of guests. 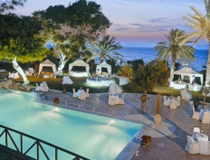 Complementing the many facilities available on-site, the Rodos Palace also offers a wide range of room types including stylish Garden VIP Suites, some of which with a private pool. 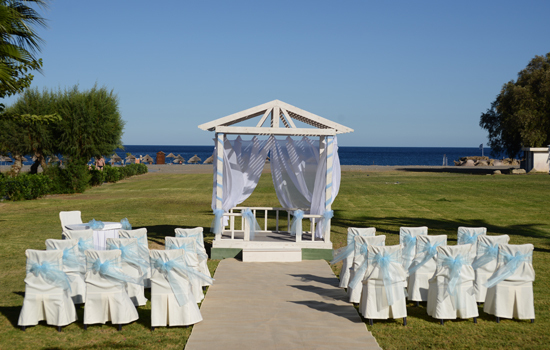 Bordering a beautiful sandy beach, the Aldemar Paradise Village is an excellent choice for anyone planning their wedding on the island of Rhodes. 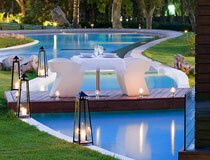 It combines a terrific range of amenities, stylish accommodation and high standards. 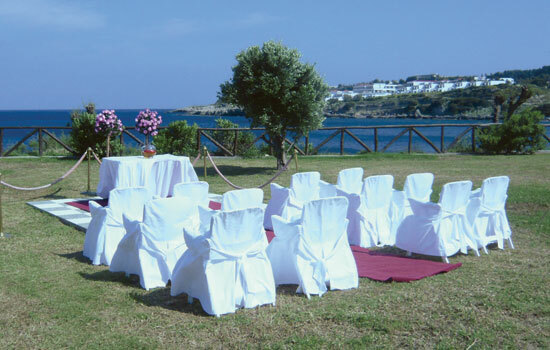 Your wedding ceremony can be arranged to take place in a variety of settings including a pretty garden area by the sea, outside the lovely little church or indeed anywhere within the vast grounds of this 5-Star hotel. 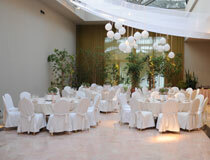 Similarly, there will be plenty of options for your wedding reception, be it for a small party or a large number of guests. 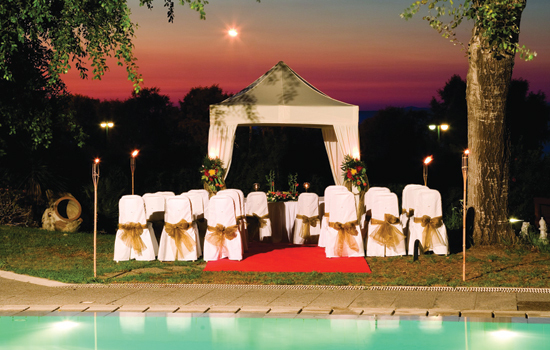 If you don't want a traditional wedding menu, you may take advantage of the 'All-Inclusive' concept for your reception and pay a supplement for a special set up of tables, white chairs and decorations. 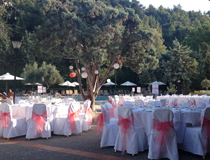 Here’s a terrific opportunity to choose to have your marriage ceremony conducted at Atrium Palace in Kalathos where a stunning choice of nuptial locations will be suggested to you. 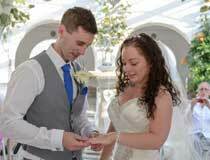 Offering years of experience in organising weddings, the team at Atrium Palace will not leave anything to chance for your big day! 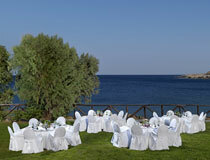 Choose to marry against a sea view backdrop, amongst the palm gardens of the courtyard or right on the beach... the decision is yours.. As expected at a 5-Star hotel, the venues for your sepcial reception are just as charming and the variety of flexible menu packages include lots of extra touches too. 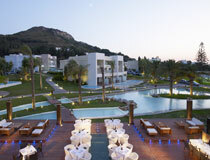 The 5-Star Aqua Grand Exclusive Deluxe Resort sits on Navaronne Bay, about 1.5km from Lindos. 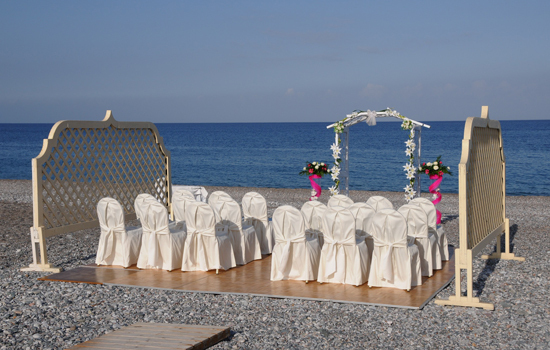 Low-rise buildings blend in magically with the surroundings and the beachfront location makes it a splendid wedding venue. 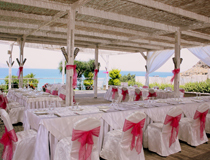 Here, your big day can take place in a whole variety of special locations including the purpose-built gazebo that commands magnificent views of the sea. 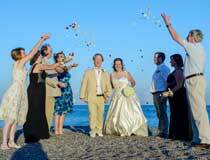 In preparation for your reception we will liaise with the experienced Wedding Co-ordinator at the hotel and suggests all the various options available and any special requests you may have to make your day totally tailor-made to your wishes will be discussed in great detail. 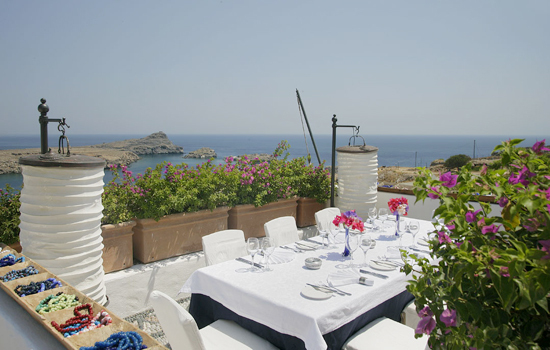 The range of accommodation at Aqua Grand is simply amazing and include stunning suites with a private pool and a sea view. 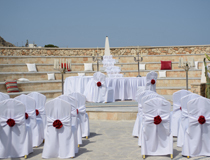 To enhance the overall luxury of the complex, the on-site spa guarantees all the relaxation and pampering you need before and after your wedding! 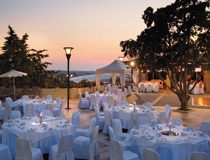 Overlooking the bay of Ixia from its elevated position, the Amathus Beach Hotel is a 5-Star venue for a stylish start to married life. 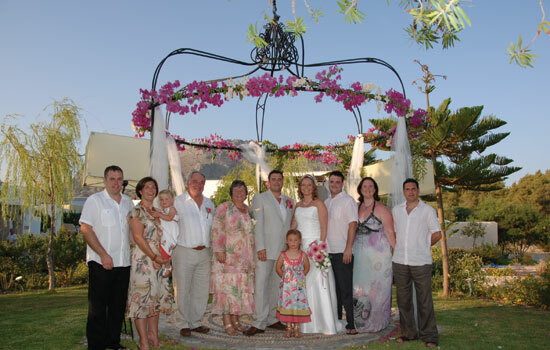 Civil ceremonies usually take place in a charming garden setting and the wedding packages available give you the chance to opt for a standard set-up or to exchange your vows under a white tent-style gazebo reached by a red carpet adorned with petal flowers and lanterns. 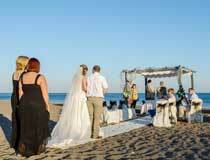 Even beach weddings can be arranged at the Amathus! 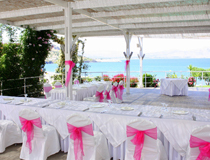 Attention to detail will also prevail in the organisation of your reception, no matter whether you prefer a simple do or a lavish dinner to impress your guests. 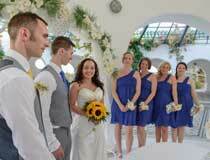 Offering great value for money and family-run (the Wedding Co-ordinator is actually the owner's daughter! 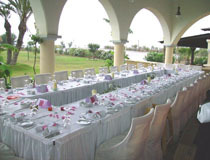 ), the Blue Sea Beach Resort is an ideal wedding venue for many of your friends and relatives to join you celebrate your special day. 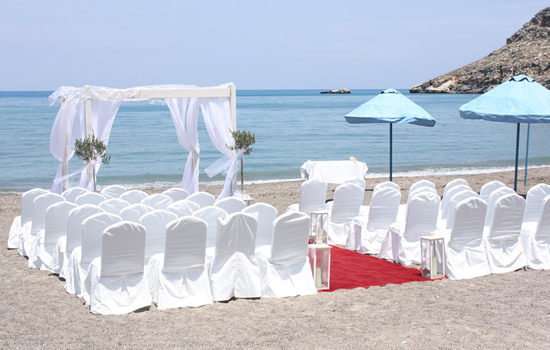 The beach setting is always a favourite choice for the ceremony but anywhere within the grounds of the hotel would be equally easy to organise should you so wish. 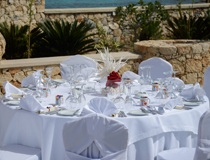 Another advantage to help keep costs down is that the All-Inclusive programme available at the hotel can be applied to your wedding reception (white covered chairs, decorations, etc., can be provided at a supplement). 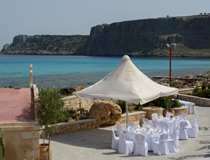 Alternatively, we could also supply you with quotations for special menus and a reception set up by the beach or in the restaurant. 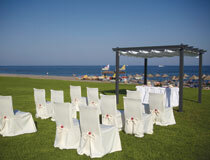 In short, the Blue Sea Beach Resort is truly prepared and able to meet your requirements to make your day as unique as can be. 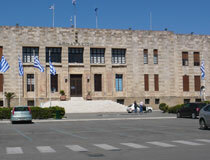 Commanding a pleasant location by Mandraki harbour, Rhodes Town Hall is a friendly venue. 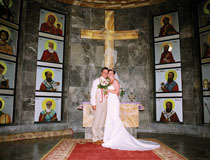 After the wedding ceremony, many couples have photographs taken in the pretty chapel area located in the Town Hall. 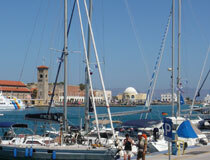 There are also excellent photo opportunities along the harbour and in Rhodes town. 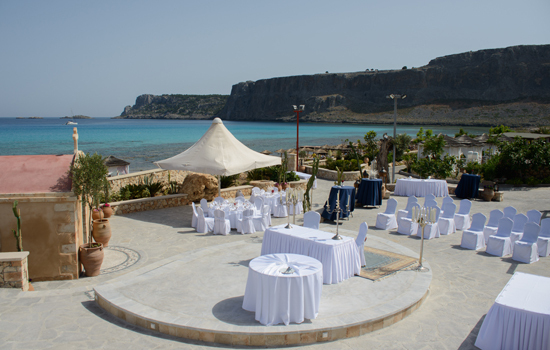 For your wedding reception, we'll be able to recommend a choice of tavernas and restaurants to suit your preferences, budget and party size. 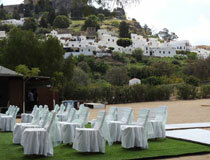 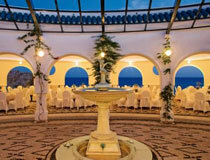 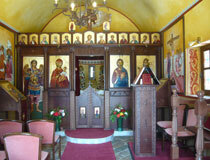 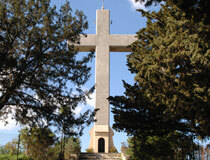 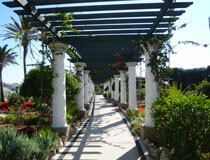 Just 8km from Rhodes Town, Filerimos is a very unique wedding venue is steeped in history. 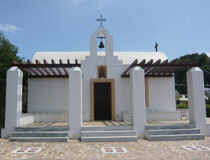 It is a scenic spot complete with a monastery and a small church - a cobbled alleyway leads to The Cross where the ceremony takes place (brides may be advised to plan a change of shoes for the walk). 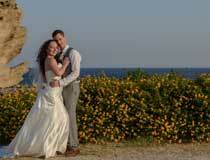 There's a monastery and a small church nearby and the views across the island are just stunning and perfect for gorgeous photo backdrops! 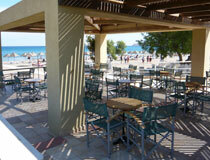 Profit Amon is set in a particularly pretty spot on the hillside above Faliraki. 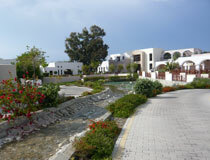 Surrounded by mature trees and commanding gorgeous views of the bay, this lovely area is also favoured by peacocks, often seen wandering around the grounds. 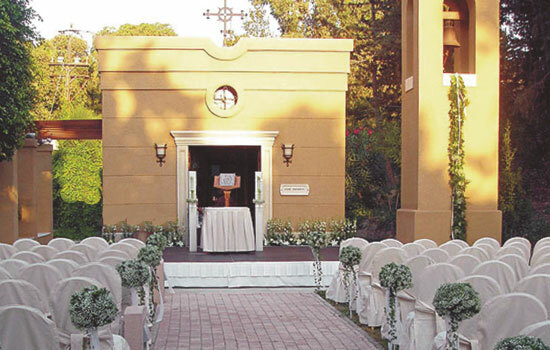 Civil wedding ceremonies are conducted outside the picturesque chapel - a peaceful setting ideal for you to exchange your important vows. 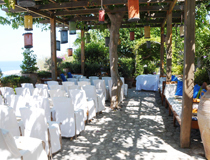 An added advantage when choosing this venue is that there is a gorgeous local taverna on-site where your reception can be organised. 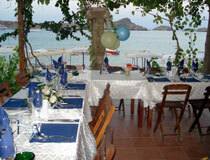 And in true Greek tradition, you and your guests will even have the opportunity to smash plates! 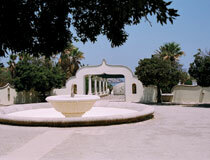 Known for its therapeutic properties since ancient times, Kallithea Springs (located approximately 11km from Rhodes Town) has attracted visitors for centuries. 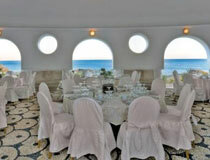 Shaped through the years and completed around 1930, the complex includes a 14m-high dome, stunning arches, fountains, mosaic-paved alleyways and panoramic sea views. 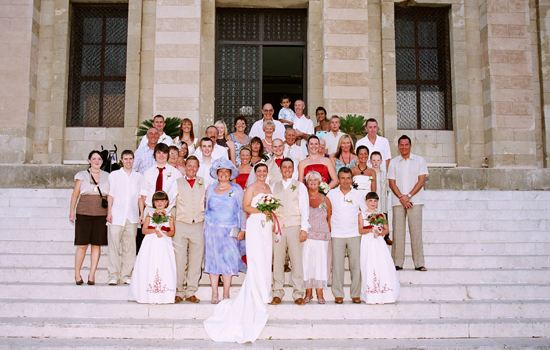 Although no longer operational as a spa, the site ranks as one of the most beautiful cultural monuments on the island, making it a perfect and very scenic wedding venue for you, and the ideal spot for relatives and friends to gather in your honour. 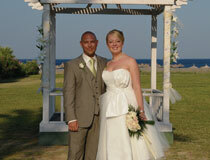 Once you have exchanged your vows, photographs be taken on-site and by the seafront. 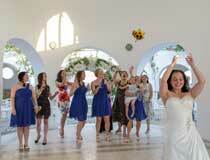 As Kallithea Springs only accepts large parties for wedding receptions, other suggestions will be made to you including one of the venues at the hotel where you are staying. 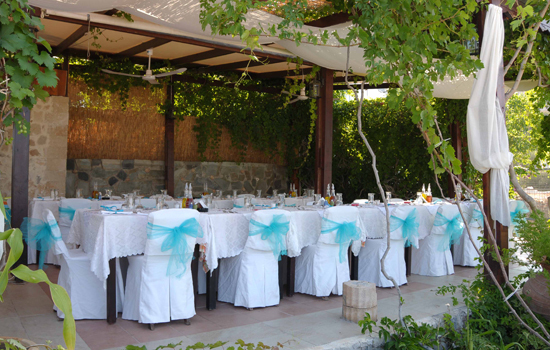 Or if you prefer, we could organise for you and your guests to dine at a local restaurant/taverna and menus will be obtained on your behalf, according to your wishes and total number of guests joining you. 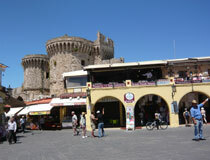 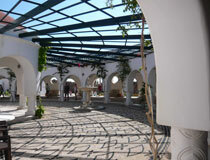 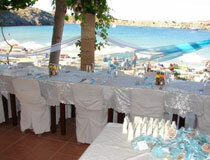 we can also recommend and organise your reception at a selection of excellent restaurants/tavernas in Rhodes. 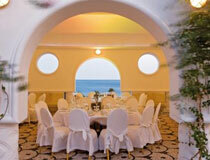 The Dolphin’s Restaurant-Taverna is a popular venue for a great wedding reception right by the beachfront. 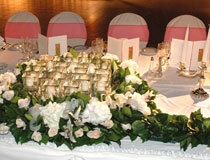 We will obtain menus on your behalf and get everything organised for you and your guests. 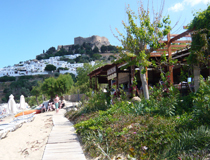 The relaxed and informal setting of this tempting restaurant is complemented by the friendliness of Michaelis, the owner, who has over 25 years experience in the business!